Socrates, Shakespeare, Saint Paul, Rembrandt, Galileo, Darwin, Beethoven, Maria Montessori, Charlie Chaplin, Orson Welles, and John Dewey are all dead. We remember them because their words and works were preserved for later generations by means of different text technologies. 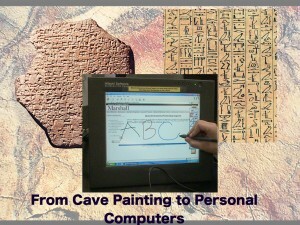 Texts are material artifacts that take many different forms: cave paintings, tattoos, stone tablets, papyrus scrolls, manuscript books, musical scores, maps, printed books, engravings, newspapers, photographs, films, DVDs, computers. Every kind of text is produced by a special technology, which shares a simple purpose: they were designed to supplement the fragile human mind by providing a more durable artificial memory system. Those technologically preserved and transmitted memories are the foundation of all human culture. Technologies are not limited to nations or languages: they invade and transform cultures. The Hebrew and Greek Bible, the literary and philosophical masterpieces of classical antiquity, influenced readers thousands of years and thousands of miles away from the time and place when they were first written down. Great discussion and image here. 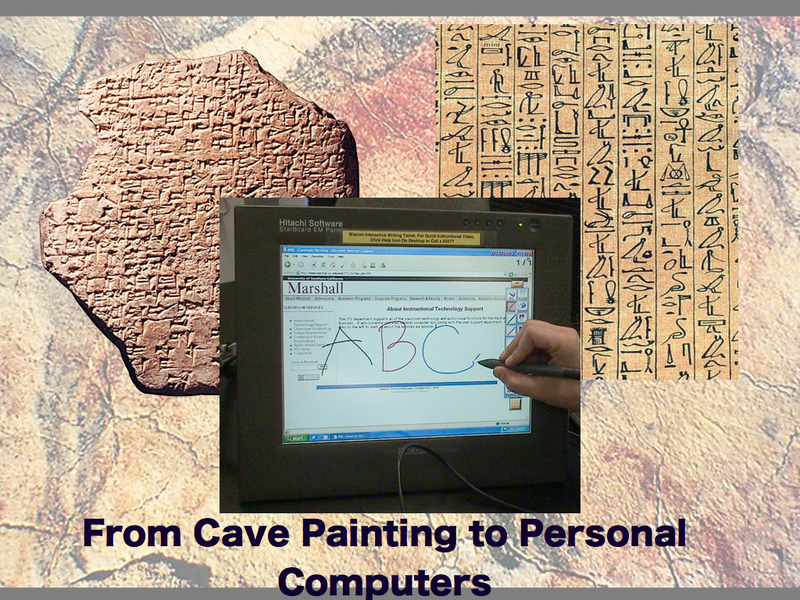 Indeed, technology helps us preserve both great and small cultural artifacts. I wonder if some of the authenticity of our past is lost when all history becomes digitized?